Have you ever been in the city at night, maybe attending a concert or a sporting event and you were impressed with the lighting along the park or on the fancy office building? Most of us at one time or another, have experienced fear, comfort, tranquility and relaxation in the form of well-designed landscape lighting. Sometimes the lights are pointing up toward the tallest building or low profile lights under plants along the center of the track may have a very strong impact on you. Beautiful lighting can completely change your mood and the experience of the events around you. With regard to our homes, we tend to think of outdoor lighting in strictly practical terms. We have lights outside on the front and back doors and maybe a motion sensor light over the garage door. They are mounted on the house or garage and they are there just so you can easily see where you’re going, when on the street at night. But your home outdoor lighting can be much greater. It should not be just for seeing things at night. Properly done outdoor lighting can have beauty and charm all their own and at the same time provide nighttime security. For many years, savvy homeowners have tried to repeat this beauty with landscape lighting in the yard near his home and in their gardens. For the most part it did not work very well for the average homeowner. In the past, most reliable landscape lighting systems were equipped with standard household power (120 volts). It had to meet strict electrical codes, and you had to do all the electrical installation and wiring yourself. Connectors, fittings and bulbs all had to be heavy, waterproof and weatherproof. It was too expensive and beyond the budget for the average homeowner. Those homeowners who follow through with all that often ended up with a system that does not look right. A common mistake is using too much light, or put them in the wrong place. You do not want your sidewalk or garden path to look like the airport runway. So do it right often meant hiring a landscape architect or contractor who specializes in landscape lighting. Of course, that pushed prices even more, and usually beyond the reach of all but the wealthy. 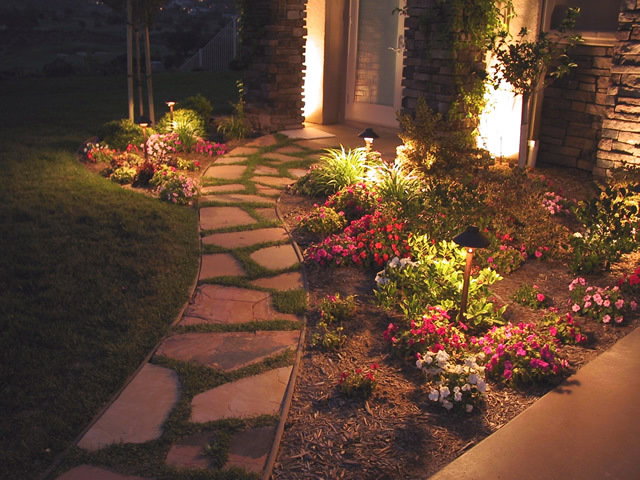 Low voltage outdoor lighting, however, has several distinct advantages. Electrical codes are much less strict, and because it is a low voltage you do not need an electrician to install it. You can buy an inexpensive kit and install it frequently over the weekend. Because it is easy to install and configure, you can spend more time on the world scene, the light and not worry so much about hiring a landscape architect to do all this for you. If you do not like light places, you can change it yourself without much trouble. You do not need an electrician or designer to move it. One common problem was that a low voltage system had a short life. But today everything has changed. Buy a low voltage outdoor lighting system at your local store. They should not only be affordable, but durable as well.